Credit card price protection is a less-well-known credit card benefit than say, rewards, signup bonuses, and introductory rates. Price protection is a benefit that would refund you the price difference after a price drop on an item you recently purchased with your credit card. The price difference doesn’t have to be with the same retailer to receive the benefit. So if you purchased a laptop for $800 and later saw it on sale with another retailer for $600, you could file a claim with your credit card issuer and get a refund of $200. Price protection can help you save hundreds of dollars, if you take advantage of it and if your credit card issuer still offers the benefit. Some credit card issuers are scaling back and even getting rid of the benefit. There’s typically a timeframe during which you can make a claim. For example, you may have between 30 to 100 days to make a claim. There may also be a limit for each claim and a limit on the amount you can claim each year. Certain items are excluded. This includes motorized vehicles, jewelry, tickets, collectibles, plants, animals, and antiques. 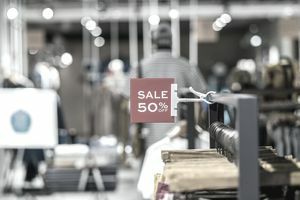 Items may also be excluded if the price drop is because the business is going out of sale or the item is discontinued. Many credit card issuers only required you to submit a claim with supporting documentation to receive the price refund. With Citi’s Price Rewind feature, you wouldn’t even have to watch the prices yourself. You could register your item by going to www.citipricerewind.com after your purchase. Once you’ve registered the item with your original purchase amount and receipt, Citi will automatically monitor prices and refund you if there was a drop in price within 60 days. Is Credit Card Price Protection Going Away? Chase and Citi have recently announced reduction or removal of credit card price protection benefit for cardholders. Chase has been eliminating price protection on its credit cards one by one. And Citi reduced its Price Rewind coverage to $200 for each transaction and $1,000 each year. Visa and American Express do not offer price protection. Some credit cards still offer price protection. If it’s a perk you take advantage of, switching credit cards may benefit you. Barclays, Capital One, Chase, Citi, Discover, U.S. Bank, and Wells Fargo all still offer some level of price protection on specific credit cards. You can call your credit card’s customer service using the number on the back of your credit card to find out whether your card still carries the benefit. Because the process of monitoring and submitting a claim is so cumbersome, many consumers don’t take advantage of the offering. If your credit card issuer is getting rid of price protection, you can continue to find ways to maximize the value from your credit card by taking advantage of other perks and earning all the rewards you can. Shopping around and paying attention to sales cycles can help you get the best price on your goods, especially when it comes to big-ticket items. For example, you may plan your spending around big sales, like Black Friday, to take advantage of lower prices. Many retailers still offer price adjustments, though the time period is much shorter. You can simply take your receipt back to the retailer and ask for a price adjustment. They’ll either refund the price difference in your original purchase method or give you a store credit to use for a future purchase. Rather than manually watch for price drops, you can use a price tracker app to receive notifications of price reductions in items you’ve purchased or items you’re thinking about purchasing. Keep your receipts for purchases, at least until the price protection claim period has expired. You’ll need a copy of your receipt if you decide to file a claim. Price tracking is especially worth it for larger ticket items whose prices could drop by hundreds of dollars. If you notice the item has gone on sale and you haven’t used it yet, you could return the item and repurchase it for a lower price, if the cost savings is worth it. Credit card issuers are constantly issuing new credit cards and making changes to their existing rewards programs. Staying updated on the latest credit card offerings can ensure you’re getting the best deal you qualify for.